Headington School is an independent day and boarding school for girls aged 3–18. It consists of a prep school and senior school, which sit on neighbouring sites about a mile from the centre of Oxford. There are five boarding houses on the senior school campus and about a quarter of the pupils are boarders, with occasional boarding available to all girls subject to availability. Headington School was founded in 1915 by a group of evangelical Christians. Today, it retains its original Christian motto (‘Fight the good fight of faith.’) and holds daily prayers, plus a Sunday service for boarders, whilst fostering respect for diversity and welcoming applications from girls of all faiths or none. Since the school was founded, it has gradually grown and developed. The original 1930s building is now surrounded by modern, purpose-built facilities that include all-weather pitches, a sports hall and swimming pool, an art school, a library and digital resource centre, a music school and a theatre. The school offers an academic curriculum that is made up of traditional subjects, plus access to over 150 different extra-curricular activities each week, including opportunities in arts, dance, drama, music, sport and academic enrichment. In terms of results, the school performs consistently above average. In 2018, it was in the top 50 UK schools for GCSE results with nearly a third of all grades being the new, highest possible grade of 9. Headington School is academically selective and is generally oversubscribed at all entry points. For Upper Three (Year 7) entry, places are offered following an 11+ entrance day, which takes place in December of the year prior to entry. The entrance day consists of a written entrance exam, an interview with a senior member of staff and non-assessed taster lessons. The exam comprises papers in English, maths and non-verbal reasoning. Offers of places are usually made by the end of December and a decision is required by the first Monday in March. Due to the number of applications the school gets each year, they do run a waiting list. Girls who have accepted places are invited to attend a taster day in the final term of Year 6, where they get the chance to spend a day with a current Upper Three pupil and experience a typical day at the school. A copy of the Headington School Admissions Policy is available to download from the school’s website. Headington School highly recommends that prospective parents visit the school before applying for a place for their daughter. To this end, they hold many open events at the senior school throughout the year, including open mornings, coffee mornings with the head teacher and individual visits. All open event dates are published on the ‘Visit Our School’ page of the Headington website and places can be booked via an online form or through the admissions department: admissions@headington.org or 01865 759861/2. 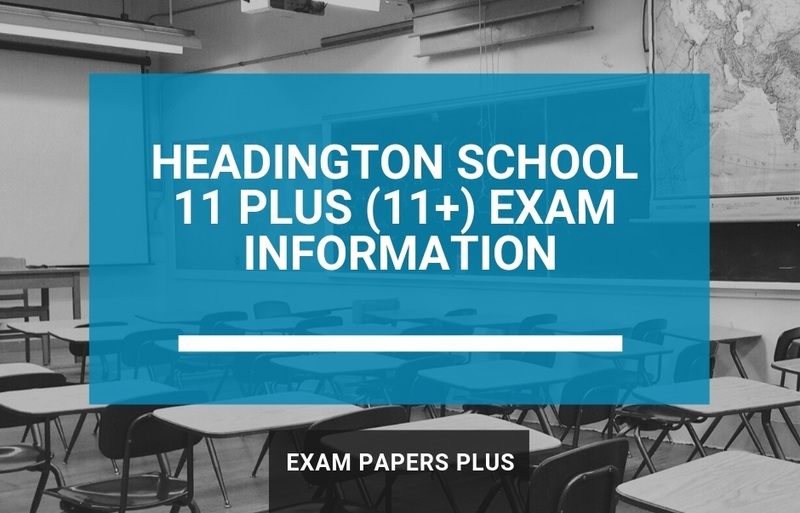 To apply for an 11+ place for their daughter at Headington School, parents should contact the admissions department or complete the online enquiry form to register their interest. A member of the admissions team will then supply the relevant paperwork and talk them through the process. The deadline for applications is in November of the year preceding entry. A limited number of means-tested bursaries are available at 11+ for girls living within a 26-mile radius of the school. Academic scholarships are awarded on merit, as are scholarships in a number of other areas, including art, dance, drama, music and sport. It is worth noting that most scholarships at Headington do not provide any fee remission of financial reward. One of the best ways of preparing for competitive entrance exams is to use practice papers. These help students to familiarise themselves with the format and question types they will encounter in the actual test in an efficient and effective manner. They also provide an excellent opportunity for students to practise working under time pressure. 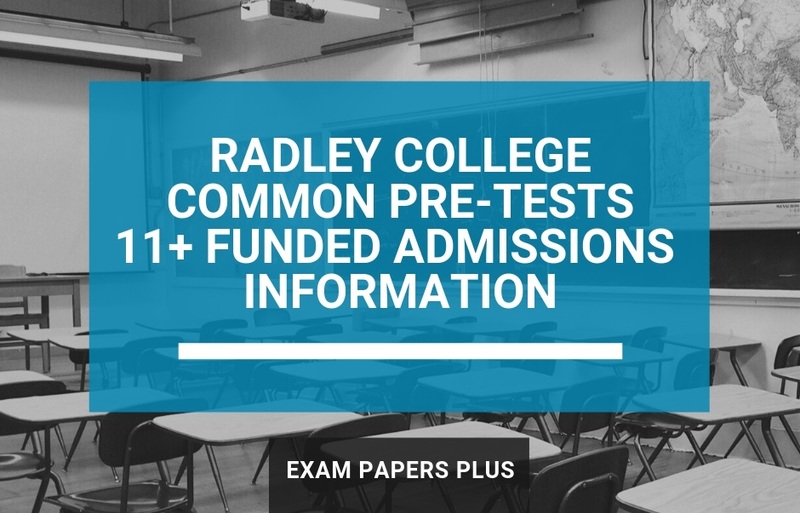 Our practice papers, which are available for immediate download, print and use after purchase, offer excellent practice and preparation for the Headington School entrance exam. They cover all the key skills and can be used to identify any weaker areas that require additional work ahead of the exam and to help build confidence. Our 11+ practice papers are thoroughly researched and up to date. Every year, they are used successfully by tens of thousands of students targeting schools with a competitive entrance exam. They are designed to be age appropriate but challenging, to reflect the demands of such an exam. The information provided about Headington School was believed to be correct at the time of publishing. However, please be aware of future changes. We advise you to contact the school directly if you are unsure of anything. School contact details are provided within the post.